Marathon training for round two began this week. Unfortunately, so did a conference for work in Phoenix (writing this post from the plane, a blogging first! ), followed by a week at the beach in North Carolina (finishing this post in the car on the way there!). Life has a way of getting in the way, but I’m trying to stay focused on running when I can and making the best of the heat and humidity. First, an update on current running plans. It’s been a busy summer of triathlon training, mixed with some weight training and running. Why the craziness? Well, on July 28th, I’ll participate in a kayak triathlon at Fairport Harbor Beach in Ohio. After that race, I have very little on the calendar, but am going to race here and there. Next on the schedule will be the Marine Corps Marathon in Washington, D.C. on October 27th. My major goal for this next race is two-pronged: Beat the Bridge and improve my overall race time. I’m hoping for cooler temps in October than the 80 degrees I saw in Cleveland in May. And I’m working to improve my overall speed and endurance. The first marathon was all about finishing, and I nailed that goal. Now, it’s time to finish with a time that I’m proud of. This time around, I’m following the training plan from the book Run Less, Run Faster. I first read about this book and the training plans it suggested in Runner’s World magazine. I was intrigued by the concepts the book focused on-the idea that marathon training could focus on 3 runs a week with 2 cross training sessions. No junk miles. Every run, from day 1 of week 1 through race day is prescriptive and planned to the second. By using your current 5K time, a training plan develops in order to train you for your ideal marathon time. The three runs each week include a speed/interval session, a tempo session and a long run. Now, dear reader, we all know that I’m not fast. But, I’d like to be better and doin’ the same old thing is not going to get me there. I’m determined to make good use of my down time over the summer and use it to improve. I was a little intimidated by all the timing these plans require, but, lo and behold, there’s an app for that! I found the corresponding app and happily paid $2.99 to get someone else to do the math and Excel spreadsheet work for me. How’s it goin’? Well, the plan is 16 weeks long and I decided to give it a trial run two weeks early. If I hated it, I would have time to find another 16 week plan to use leading up to MCM. And after 2 weeks, I can say I love it. 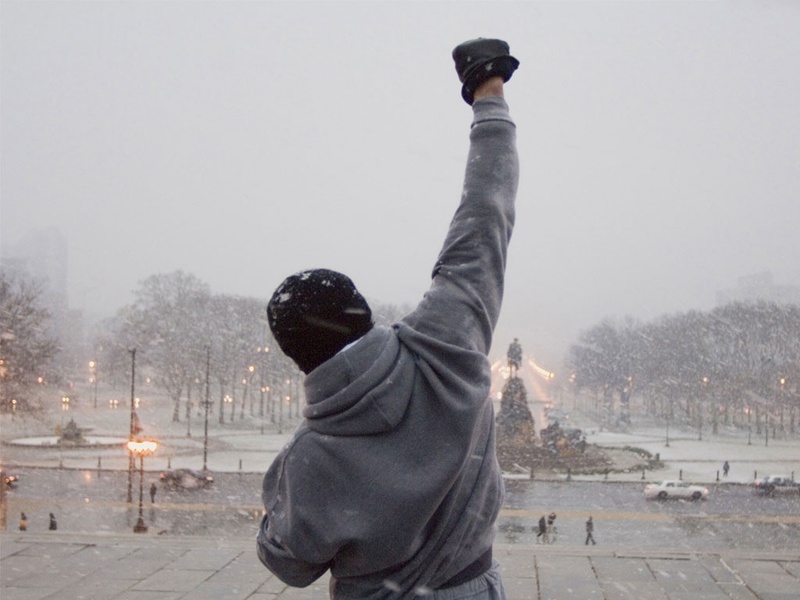 The speed/interval sessions are tough, but I feel like Rocky Balboa at the end of each one, especially when I get to negative splits. The tempo runs are also tough, and not as enjoyable for me as the speed work, but I know they serve a separate and equally important purpose. The long runs started off at 8 miles and I hit the exact pace required. I’ve ditched music. I need to pay close attention to my pace and am using my Garmin Advanced programs for the first time. I don’t have access to a treadmill, so with a few extra minutes of programming, my Garmin can now tell me when I need to speed up and (my favorite!) when I need to slow down. I’m listening to my body more and I’m enjoying my running more than ever. Bonus to marathon training over the summer=no ice, no snow, no 3 layers of clothing. I’ll take the heat, I’ll take the humidity, with no complaints. So, what are you training for? How are you handling the heat during summer training? I’m a big fan of Run Less, Run Faster. I don’t follow the plans exactly, but I follow its theory.